Larry is a CERTIFIED FINANCIAL PLANNER™ professional and Accredited Investment Fiduciary™. 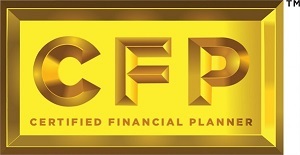 He completed the Certified Financial Planner Certification Education Program at Northwestern University, the Accredited Investment Fiduciary Program through the Center for Fiduciary Studies which is associated with the University of Pittsburg, and has an MBA in Finance from Wayne State University. He joined Assured Concepts Group, Ltd in 2006. With over 30 years of experience in finance and financial services, Larry provides unique planning services that enable individuals to make informed decisions about reducing taxes, developing a suitable investment strategy based on their values and goals which may help them sleep at night, planning for a comfortable retirement by annually reviewing their values – goals – financial situation, and making sure their families and favorite charities are their largest beneficiaries. He is a Registered Representative and Investment Adviser Representative offering securities through FSIC, Member FINRA/SIPC, and has a Series 7 and 66 registrations through FSIC. In addition, he is licensed in Life, Health, Disability, and Long-Term Care Insurance, and is a member of the Financial Planning Association. 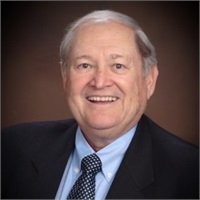 In addition to working with individuals to enjoy a comfortable retirement, he teaches Retirement Planning Classes and is a professional educator of CPAs.